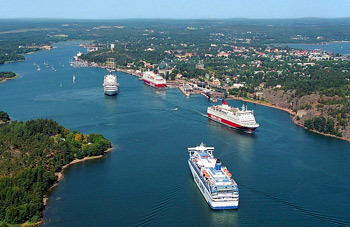 Mariehamn is accessible by plane and ferry from Stockholm, Sweden, as well as Helsinki and Turku, Finland. 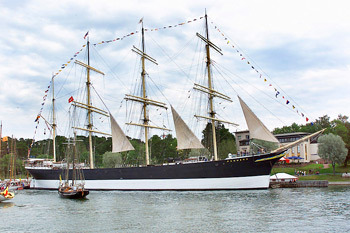 The air port of Mariehamn is situated seven kilometres from the town centre. Taxis are available. There is an express train from Arlanda to the Stockholm Central Station, travel time 22 minutes, a train leaves every 15th minute during peak hours. From the Central Station, taxi to the Stockholm harbour will take about 10-15 minutes. From Cityterminalen, situated in connection with the Central Station, bus transfer to Kapellskär harbour leaves 1 hour and 40 minutes prior to the ferry departure from Kapellskär. Taxi from the airport to the centre of Helsinki takes approximately 30 minutes. Airport taxi is available for transfer to the harbour. If you wish to spend some time on Åland before or after the conference, we would be pleased to assist you with information or reservations for sight-seeing and other activities. Please contact Administrative Coordinator Gerd Lindqvist, e-mail: gerd.lindqvist[a]aicis.ax.